The Waters iPad application for the Chemistry Group was a great opportunity for Roundarch to build a B2B mobile application that created a business solution for our client. The Chemistry Group at Waters was great to work with because they have an innovative vision and a deep understanding of their business and the science behind the business. Their decisiveness helped streamline the project lifecycle and their confidence in Roundarch allowed for the creative freedom to build an innovative and sophisticated app. The target audience for the app is just as much for the sales team as it is for the Waters’ customers. The app empowers the sales team with a sleek and easy way to demonstrate products to customers while it also provides the customers with an easy way to find what they need on their own. 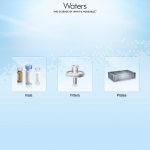 The Waters iPad app is essentially a collection of different capabilities all in one app, with architecture that allows for more capabilities to be included with future releases. We didn’t want to create a potentially confusing situation for users with multiple Waters apps that would make it difficult for users to know which app to use to find what they need. 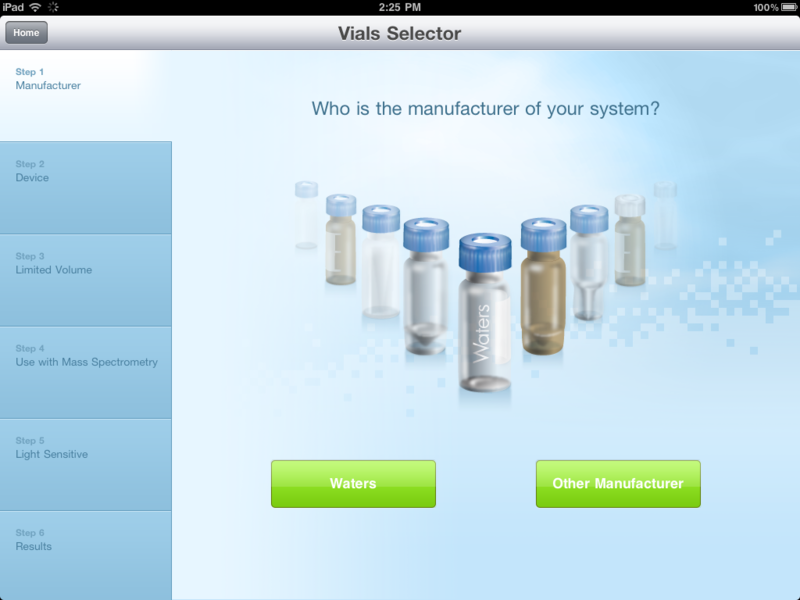 The app is being released in a phased approach; the first phase is already available in the app store which includes part selector apps for filters, vials, and plates. Phase 2 is targeted for availability in the app store in the next few weeks, with the potential for additional phases later this year.